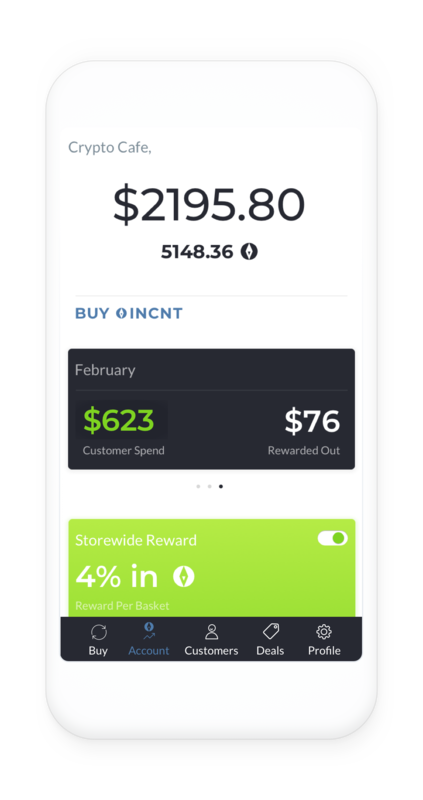 Incent (INCNT) is Australia’s first cryptocurrency - purpose-made to reward customers with real value. We are building tools that will help businesses incentivise their customers for doing the things they love to do - Watching, shopping, reading, listening, liking or sharing. What would you like to Incentivise? Research reveals that 1 in 3 millennials would like cryptocurrency. INCNT is your fuel to drive growth. Uncover more about your customers and speak to them directly with relevant deals, offers and content. Power your message with payments. Gain the competitive marketing edge by rewarding customer directly. Incent Engage is a marketing and insights platform built to reward customers in INCNT for their engagement. By harnessing the speed and security of the Waves Blockchain, our platform allows companies to seamlessly reward their customers with instant payments. Blockchain transactions are fast and secure, offering instant rewards. Welcome to next-gen connectivity. Blink takes care of all the rewarding for you and your customers. Join our Premium Partner program and your customers are automatically rewarded when they take advantage of Blink’s card-linked offers. The business lounge will help you manage your Incent customer experience, whether it be creating deals, setting your storewide reward, topping up your INCNT balance or viewing customer insights on any device.